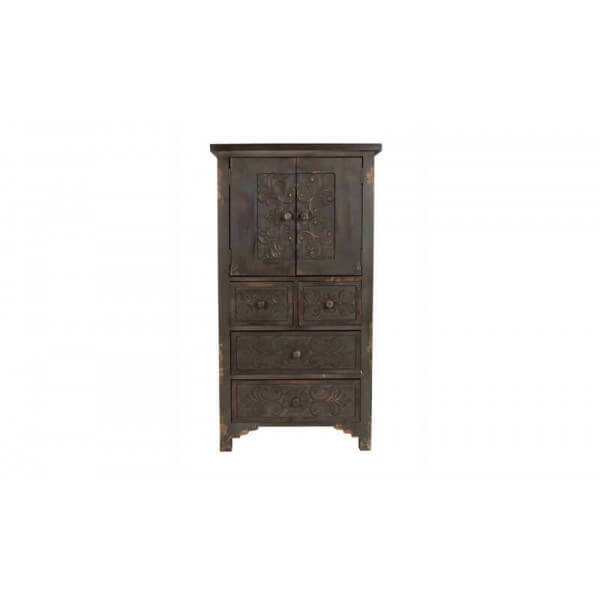 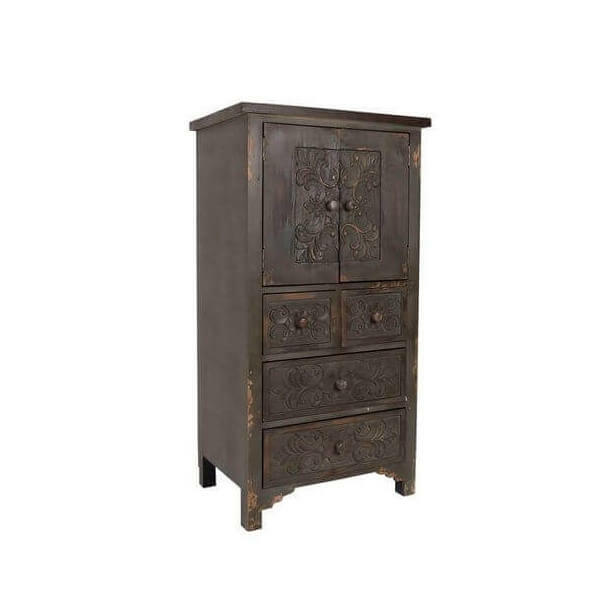 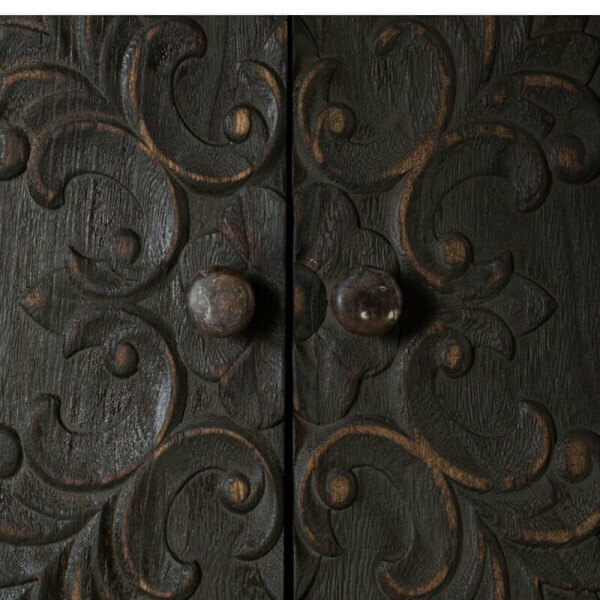 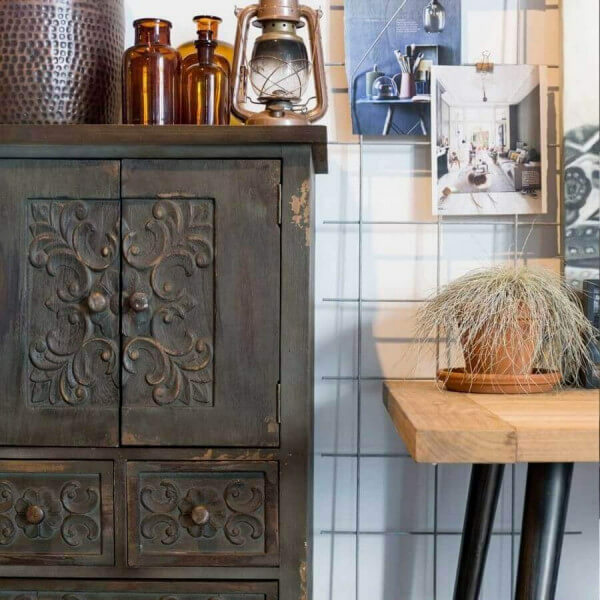 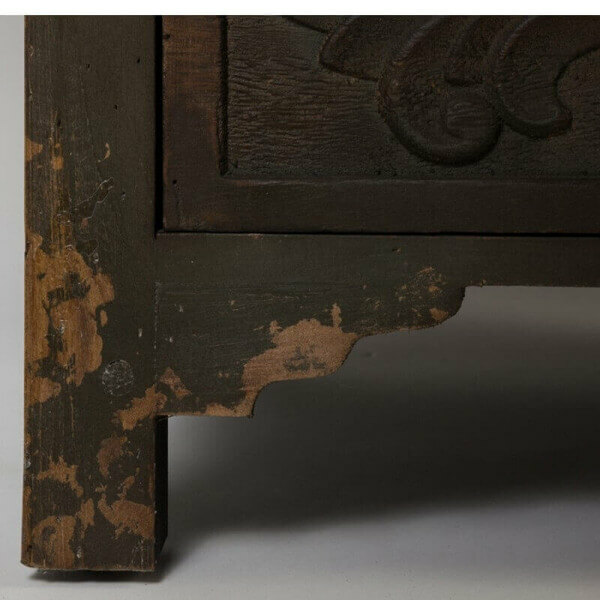 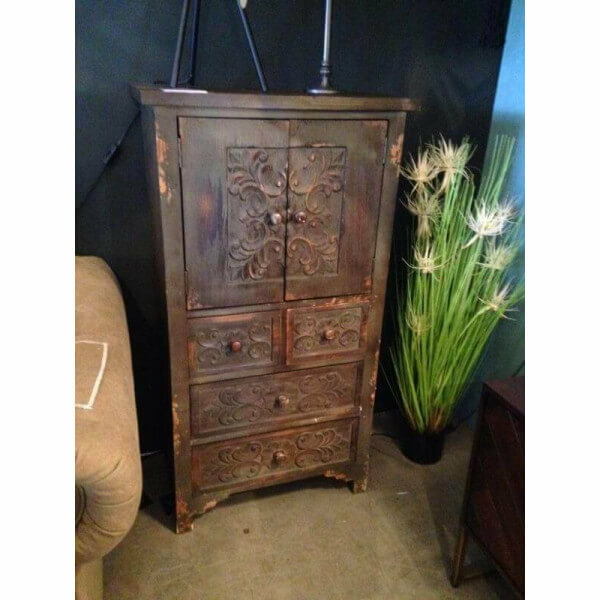 An original dresser with wood panels carved with floral motifs and a patina to the old. 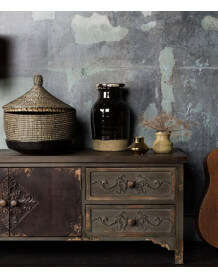 Buffet Manoir finishing touch to your ethnic decor, bohemian, baroque and even industrial. 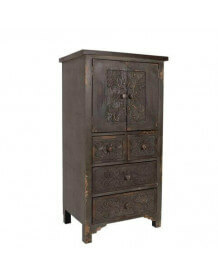 The cabinet has 4 drawers and 2 doors with magnetic closure.